Please familiarize yourself with the Gopro camera manual first. When you receive your cameras, make sure you you charge them first fully up with an appropriate charger. Setting them up, and syncing the cameras to a common wifi remote takes quite a bit of battery. Charge all cameras and the remotes fully before first use. A full battery inside the Gopro will usually last 60-75min. Lower ambient temperatures will reduce the battery life greatly. Use the ThinkTank pouch to keep the camera warm when it’s cold outside. 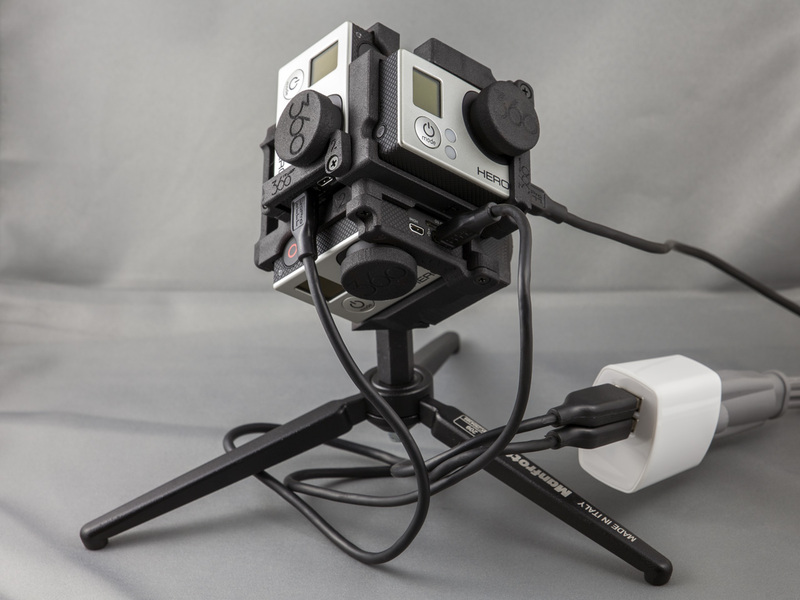 Remove the cover on the side of the GoPro to get access to the USB port. All six covers can be removed and re-inserted while the cameras are mounted in the Freedom360. If the blinking does not start, but there is a red light at the back of the camera (not visible from the front), the camera has crashed and is frozen. Remove the USB cable, remove the camera from the Freedom360 rig, remove the battery and put it back in to reset the camera, and reconnect the USB cable. 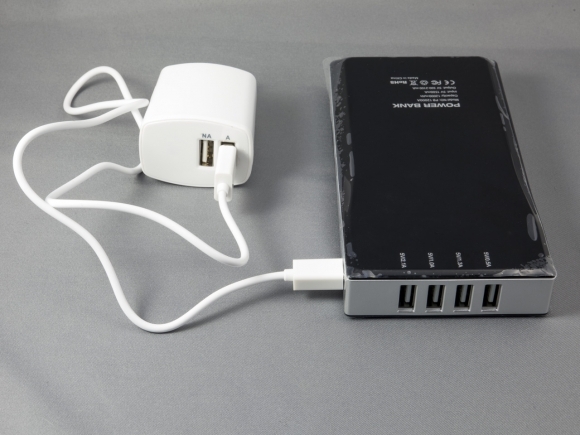 USB hubs are generally limited in the power they can provide, and not really suitable for charging the complete rig. Consult the specifications of your hub first. To charge 3 cameras, you need 3*1A=3A, six cameras need 6A, which is far beyond most power regulators. iPhone, iPad, and similar chargers provide usually 1A-2.1A per USB port, and are well suited to charge the cameras. I.e. using 3 wall chargers with two 1A USB ports each is a good choice. Two external USB battery packs with three 1-2.1A ports are very helpful for charging all six cameras in the Freedom360 on the go.